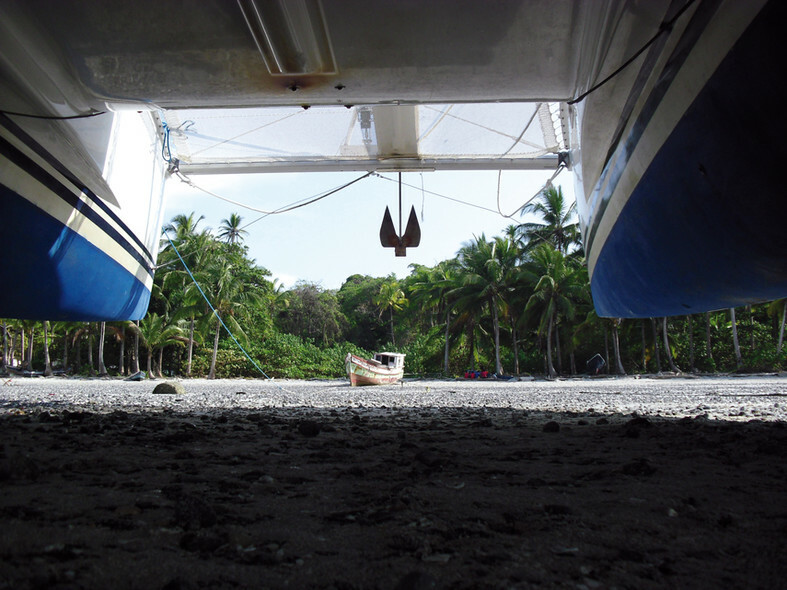 The Perlas Islands in Panama are often the first stopover after crossing the Panama Canal, but also the last before crossing the Pacific to Polynesia via the Galapagos. These islands are therefore the ideal place for a good scrub off, before several months and a long passage... Jean-François also took advantage of this stopover and at the hottest period of the day, took refuge under his cat to enjoy a bit of shade. This demonstrates once again the undeniable advantages of a cat! Les Glorieuses is an archipelago situated 140 miles from Mayotte, and completely prohibited to boats. To go there, you must ask the ‘Prefet des TAAF’ (Territory of the French Southern and Antarctic Lands) for a permit, and only Alamandas Boat’s catamaran has this permit, for the moment. It is thus a genuine Eden, that only a few privileged people are able to walk in each year.